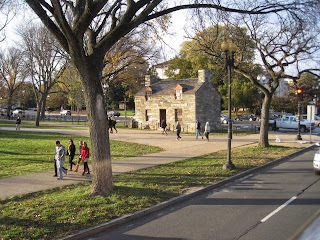 Sunshine and I tend to host many friends that come to the Nation's Capital for a visit. Many come without enough time to see everything. This past weekend was one of those occasions. 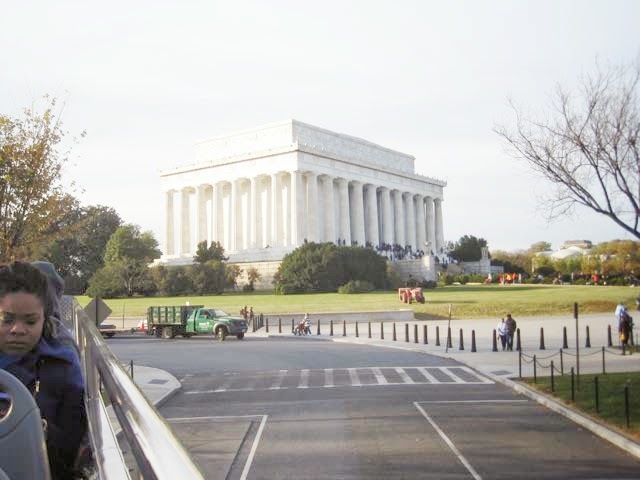 Our friends from New York City came down on a bus for a 1 day visit to the capital and wanted to see the sites. We wanted to spend some time with them, so we agreed to meet them downtown. On Friday before their arrival, it was conveyed to us our friends would be arriving at 10 AM on Saturday morning. Their will be five of them and they are all looking forward to the visit. Sunshine and I discussed the logistics. We do not have a van, we can not possibly take all seven of us in one vehicle. So we decided we would drive to the closest metro and meet them at Union Station. A good starting point for a tour of DC. Saturday morning we receive the call, "We are at Union Station". 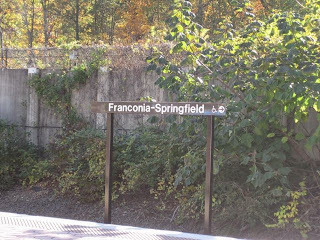 Its 8:45 a.m. We rush to the Franconia-Springfield station and catch the train. The advantage of Saturday morning train rides on the DC Metro from the outskirts of town, the trains are typically empty. 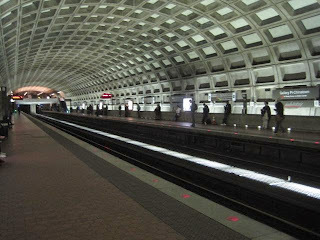 We get there as quickly as possible and charge up our metro fare cards. 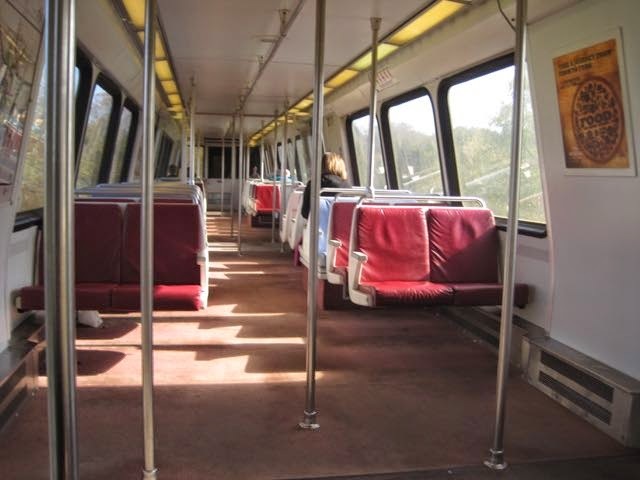 Find a comfy seat on the train, and get ready to plan the day. We know the Blue line doesn't reach Union Station, so we have to determine which would be faster. Riding the Blue line all the way to Metro Center, or transferring to the Yellow. Sunshine and I are not regular riders, we do not use the Metro except on the weekends, and therefore it is always a guess. 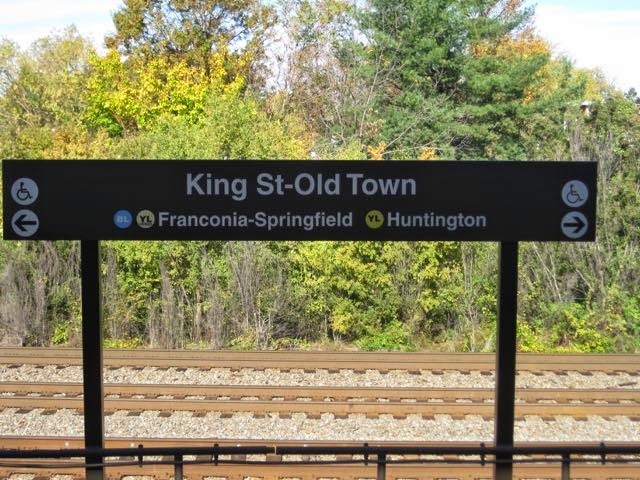 Train, track and station repairs normally take place on the weekend. 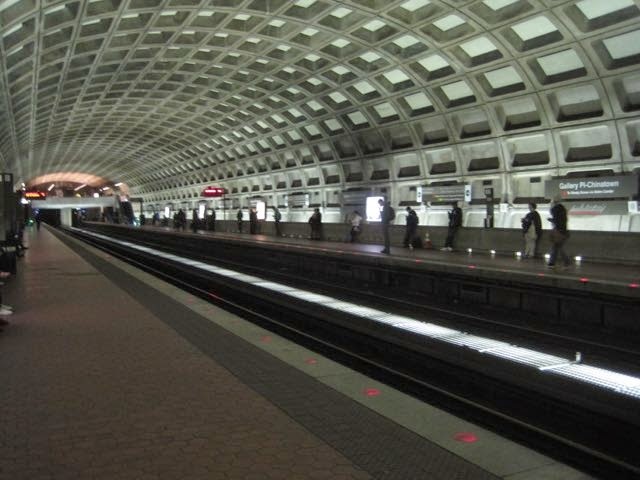 Metro tries to keep its riders informed, however, they assume you are as familiar with the Metro system as all the operators as they to explain repairs and delays over the announcing system. We decide to switch over and take the shortest route. 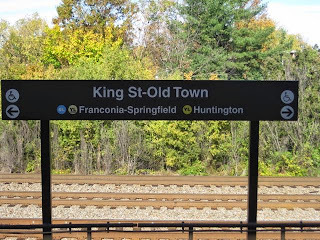 We get on the Yellow line at Kings Street. The next train is scheduled for 4 minutes. Good. This is the most direct route across from Virginia into DC. 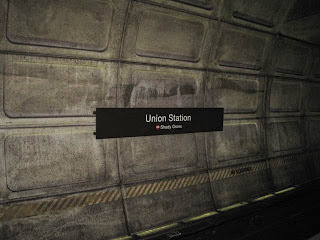 Our friends are already waiting for us at Union Station and have been for 40 minutes at this point. I have found many people do not realize how big the area is in their planning. During the week, it takes me 40 minutes to travel 16 miles to work. On the weekend, traffic is not as bad, and I can make the same trip in 30 minutes. On this trip I am a little upset with myself for not realizing how long it would take to get downtown to visit our friends. I have made a note to better plan any future visits. As we wait for our last transfer, the station is not very crowded. It is still early on a Saturday. When we finally arrive at Union Station, we have to find out friends. The station is very busy and full of many people arriving. There is a chill in the air, however, it is not too cold for a good walk. I had explained to our friends, that good walking shoes are paramount for a great day in DC. We are excited to see our friends and make new ones. We had only met two of the five before this day. Walking around union station and playing phone tag, we finally meet up in front of Union Station. Our friends decided to get tickets on one of the Hop on, Hop Off tour buses. I believe there are three different vendors for this type of tour. The City Sights, The Trolly and the Big Red bus. We went with the City Sights. A good idea before visiting DC for a day is to determine ahead of time what you want to see. 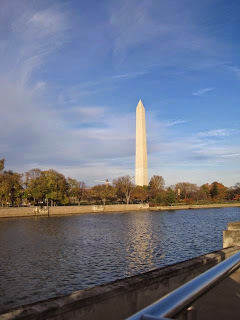 The monuments and outdoor activities can be accomplished in one day. If you plan on visiting any of the museums, you can spend a day in each one. 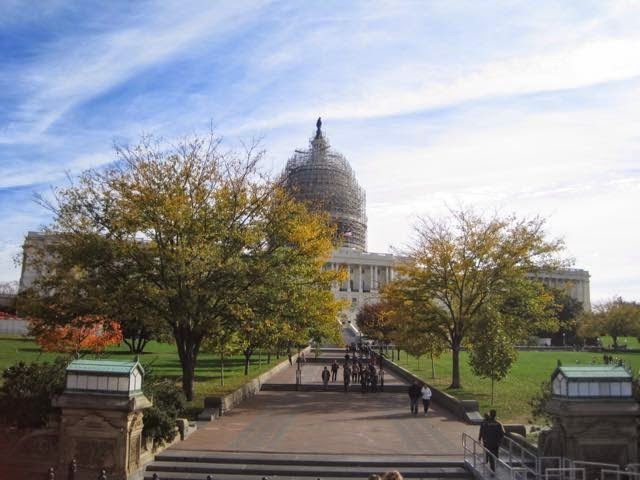 Another tip, look online to see what activities are happening in the time frame you will be in DC. The capital was under construction, so we took a passing glance from the bus. The Washington Monument stands strong in the middle of the Mall. It has been recently repaired. I have not heard of any issues with the elevator recently. You will need to get tickets in a time slot to go to the top. It is normally a long wait. 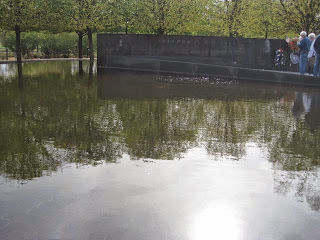 The structure you see is the Lock Keepers house. He lived here when the was a canal through the middle of Downtown. Him, his wife, and 13 kids. They were a close family. The Lincoln Memorial is great. Full of people and history. The bus tour guide mentioned a few of the movies filmed here and other great speeches. Walking distance from the Lincoln Memorial is the Korean War memorial. 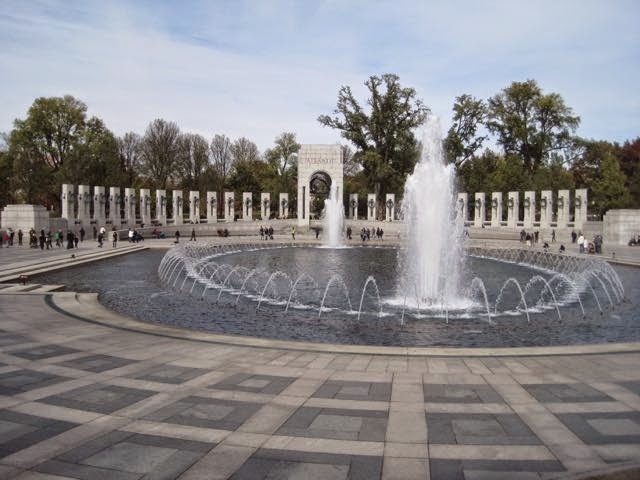 Veteran's Day weekend brings many Veteran's Groups to the memorials. 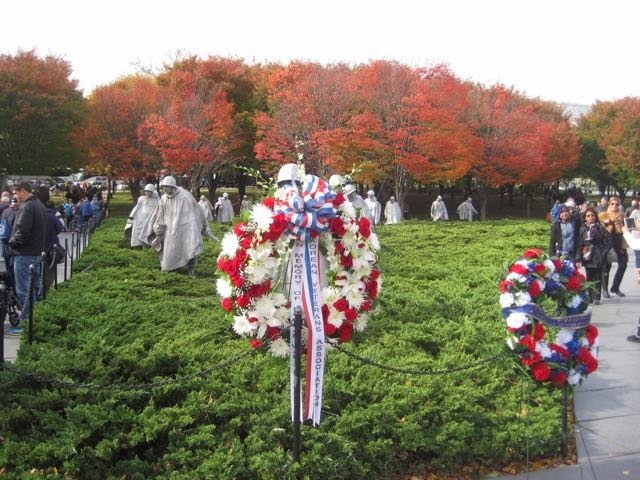 Here you see a wreath was set up in front of the Korean Memorial. The Reflecting Pond at the Korean Memorial reminds visitors that Freedom is not Free. The Word War II memorial in very large and pillars for all the states and territories that assisted during the WWII effort. We used the tour bus, and walked about 3 or 4 miles. Other highlights of the trip include a stop over at the Jefferson, Fish Market, and the Vietnam War Memorial Wall. After a day around town, we returned to union station. We had a quick bite to eat at the food court and sent new friends back to the bus. A couple of them decided to spend the night before the long trip home and so we were off to the Metro station. We rode the train back and traded storied of old times and new times. I hope you all enjoyed my story about the adventure in DC. If you have more tips for our friends, let me know.